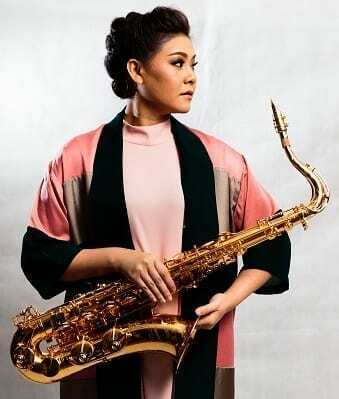 Nisthanun Thaicharoensri known as Kwang Saxophone, Kwang SkykickRanger, Kwang Saxpackgirl, Kru Kwang, Kwang was born in Bangkok, Thailand in 1984. Surrounded with Thai teacher family. None in her family played music ,except her older brother who played Thai flute in the school. Her parents asked her to join in Thai traditional ensemble in the school when she was young. Kwang started playing clarinet when she was in high school then she changed to saxophone in 17 years old when she got in SWU which she graduated in music education, faculty of fine art, Srinakharindrawirot University in 2005 and Master Degree in Psychology Education, Faculty of Education in 2010. As she has worked with a lot of famous band leaders and singers in Thailand such as Lex T-Bone ,The Emergency Band, Arnon Jazz Band, Arin Jazz Band and Ben Chalatit. And she did a lot of events and shows in Acoustic , Pop, Soul, Fusion,Fuhk and Jazz style as the Soloist and the Brass section. She also made recording for 2 albums with “Skykick Ranger”. About her performance on the stage, such as, What woman worth Concert (2009). HitMan Jazz Up Bangkok (2010). 3 Mend The Big Band A-time concert (2011) . Ron Kenoly Live in Bangkok (2012). River Jazz Concert (2012). Born to Be Ben (2013). Sax soul Phone (2013). KEMISSARA Fashion (2015) . Come into my world : Born to be Ben(2015). About her teaching work, such as, Saxophone Tutor (since 2006). Education Team “KPN” (2009- 2010). 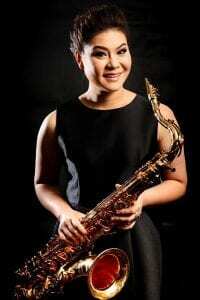 Saxophone Private and Ensemble Teacher at SWU (since 2009). Western Music Lecturer at Chitrada Secondary School (since 2011). Kwang has joined a christian band named “Grateful the gospel band” which she made recording with them. And also she has tour with the Worship Team in Christian Conferences and Events in Asia , such as Korea ,Malaysia , Singapore. In 2014, Kwang has set the group with her partner “Pang saxgirl” which called “12 Tone” channel in Youtube and Facebook Page. As they work together known as “SAXPACKGIRL”, Kwang & Pang did the Travel & MusicFestival Video Program as the hosts. And they did the cover songs and also write their own original songs to use for the Youtube programs and live sessions.